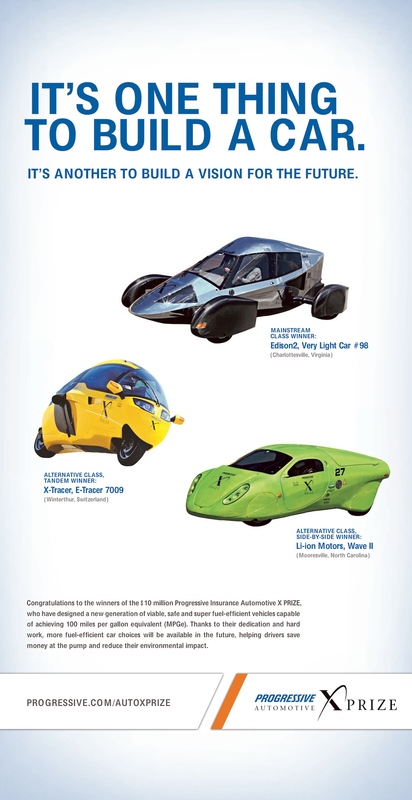 Friday, September 17th, 2010 USA TODAY Newspaper PIAXP Winners Full Page Ad. This entry was posted in PIAXP X PRIZE and tagged ad, E-Tracer, Edison2, Li-Ion, PIAXP, USA Today, Winners, X PRIZE. Bookmark the permalink.